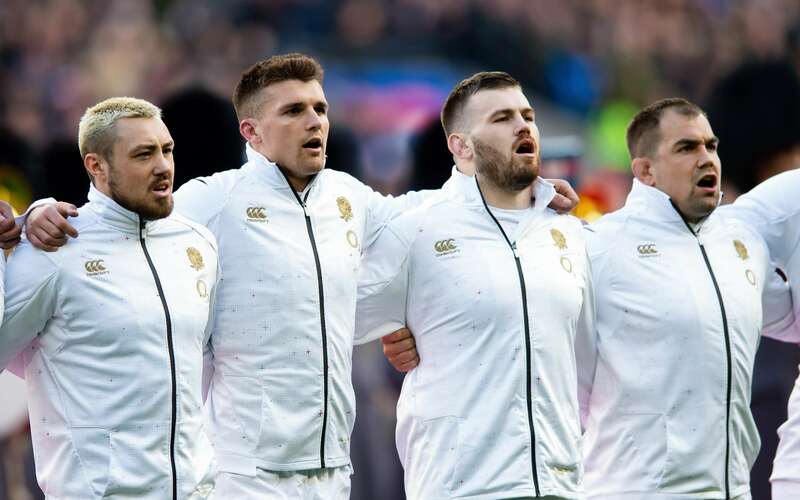 Exeter Chiefs centre Henry Slade was again on the scoresheet as England made it two from two in this season’s Guinness Six Nations Championship with a 44-8 victory over France at Twickenham. After his two tries in Dublin last week, the 25-year-old struck just before half time to ensure Eddie Jones’ side had the bonus point in the bag. Earlier, Leicester Tigers winger Jonny May had helped himself to a hat-trick of tries inside the opening half hour as England - who also include Exeter trio Ben Moon, Luke Cowan-Dickie and Jack Nowell - dominated from start to finish. Skipper Owen Farrell, who finished the game with 17 points, claimed England’s final try, but before that Welsh referee Nigel Owens had awarded the home side a penalty try after recalled Sale Sharks winger Chris Ashton appeared to be taken out as he chased down a kick, only to be upended illegally by opposite Gael Fickou, who received a yellow card for his actions. In reply, France countered with an early Morgan Parra penalty and a try from Damian Penaud, but that was scant reward for them on an afternoon when they were distinctly second best at a packed out Twickenham. Following the successive bonus-point victory in the tournament, Jones says his side will have to be at their best to down Warren Gatland’s men – heaping huge praise on Wales, who they will face at the Principality Stadium in two weeks’ time. “We are playing the greatest Welsh side ever so we need to be at our absolute best,” said Jones. “Preparation starts on Wednesday, you know when you play against a Warren Gatland side, who has been at the top of the tree in European rugby for the past 15 years through club, country and the Lions, that you will be up against a tough physical team that contest hard at the breakdown and we’ll have to earn every point. England, however, will travel in confident mood and on the back of a performance against Les Bleus that Jones said was hugely encouraging. However, he says there is still more to come from his team following their six-try haul. “We had a quick chat and feel we left 15-20 points on the field so there is a lot more in this team and we understand that and we are committed to being the very best we can be.